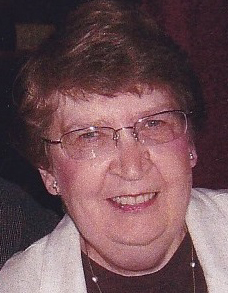 Ann Marie Benson, 78, of Columbus, OH. formerly of Jamestown, N.Y., passed away on Thursday, Aug. 23, 2018, at the Kobacker House Hospice, Columbus, Ohio. Ann was born April 14, 1940, in Jamestown, N.Y., a daughter of the late Sten V. Carlson and Ingeborg Marie Forsberg and was raised by her beloved stepmother Emma L. Reynolds Carlson. She was a graduate of Luther College in Teaneck, NJ, with a Bachelor of Science degree in Christian and Elementary Eduction. Ann worked for the Bethel Lutheran Church for many years as well as assisting her husband with their photography business. She retired from National Church Residences in 2007, as Senior Property Manager of Stygler Village in Gahanna, Ohio. She is survived by her son, Steven T. (Allison Everett) Benson, grand-dogs Talula, Dooley and Finnegan of Columbus, OH, her daughter, Sandra (Troy) Oswald of Dallas, Texas; her sister, Norma Carr; and her niece, Lisa Carr both of Jamestown, N.Y., and by her many friends. Besides her parents, she was preceded in death by her husband, Ronald R. Benson, whom she married Nov. 18, 1972, and who died July 4, 1984. The family will receive friends from 4-6 p.m. Thursday, Aug, 30, 2018, in the Lind Funeral Home, Jamestown, N.Y. Burial will be in the Sunset Hill Cemetery. A memorial service will be held in Columbus, Ohio, at a later date, to be determined by the family. In lieu of flowers, the family suggests that you consider a donation in Ann’s memory to the Kobacker House, 800 McConnell Dr., Columbus, OH 43214. You may leave words of condolence to Ann’s family at www.lindfuneralhome.com.